It is a privilege and a pleasure to be here with the Falkland Islands people, as they commemorate the thirtieth anniversary of their liberation. The sacrifices made by the British Armed Forces in the 1982 conflict were significant. We will never forget them. But the British Government believed then, as we do today, that the protection of the Falkland Islanders' political liberty - of their right to determine their own future - is a principle worth defending. Only the Falkland Islands people can determine how they wish to be governed. 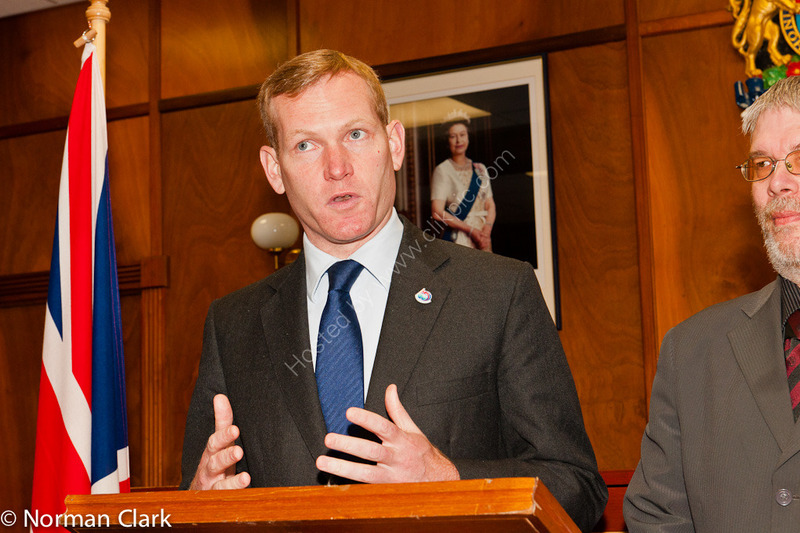 So I very much support this initiative by the Falkland Islands Government. Indeed, I believe this referendum is a truly significant moment. It will give the Falkland Islands people the opportunity to send a clear message - not just to Argentina, but to the whole of the international community - that the Islanders, and they alone, are masters of their fate. In the next few months the Falklands will give a definitive verdict on their political status. The British Government will respect their decision, in line with the principles of the United Nations Charter. And I call on all governments who prize democracy and human rights to do likewise. Whilst it is for the Islanders to choose, let me be clear: the British Government greatly values the links between the UK and the Falkland Islands. We believe they should continue and deepen, long into the future. And if this proves to be the will of the Falkland Islands people, then we in the UK will not just respect it, but will continue actively to defence this act of self-determination from those who seek to challenge it.